Went looking today for the color green. This was the closest thing I could find. Probably not bad considering it was only eight days ago we had nine inches of snow. About another month and we’ll see some real green. I can’t wait. 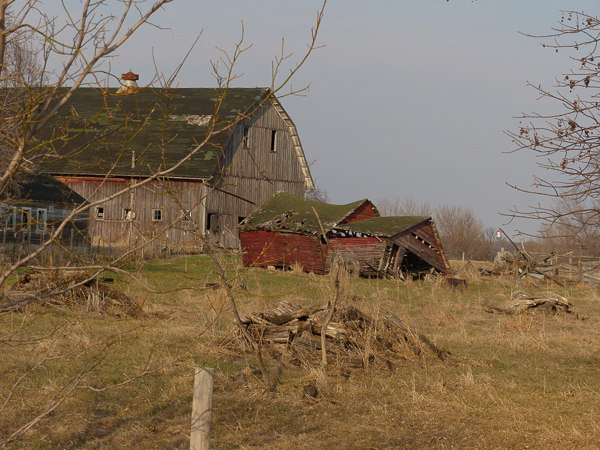 This entry was posted in Uncategorized and tagged barn, fence, fleeting farm, rural decay, veritcal siding, wood barn. Bookmark the permalink. That’ll do for now, Ryan. Any bit of green will do. Even a roof! The roof on the fall down building is greener than the grass.